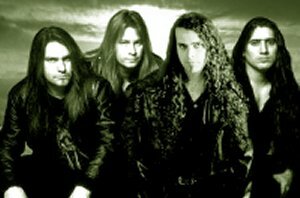 The band EIDOLON dates back to 1993 - when guitarist Glen Drover and drummer Shawn Drover made the decision to start up a recording studio and concentrate on musical recordings. 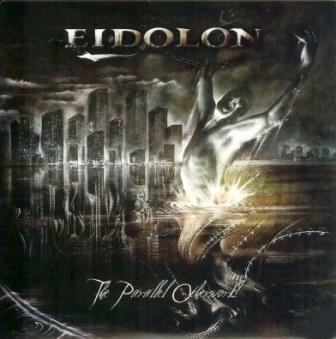 At the time, EIDOLON was a neo-metal instrumental band writing non-vocalized recordings - and, although it proved to be a challenge, it was soon realized that a real band needed to be formed in order to make the true musical statement they wanted to make. So, after several studio upgrades ( which to this day never ends !! ) 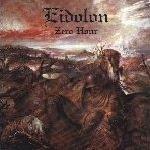 Attempts were made to find band members to complete EIDOLON and record which would eventually be their 1st released recording "ZERO HOUR"
"ZERO HOUR " was released on EIDOLON's own label and through different forms of distribution, was released in Canada, America, Japan, Australia and parts of Europe. The record received great reviews in many magazines in the above mentioned countries through various rock magazines, etc. Though happy with the reception ZERO HOUR received, the band parted ways with guitarist, Slav Siminic. Now a 4 piece band, EIDOLON would soon start writing and recording what would soon be their 1st full concept record - " SEVEN SPIRITS ". A lot of time and effort was put into the making and storyline of SEVEN SPIRITS. 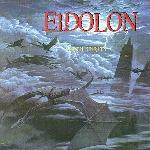 A concept record is a huge undertaking in every aspect - but EIDOLON were up for the challenge!!!! The story is based upon a man's struggle with his life and his " forced upon " religious beliefs. Not seeming to get the answers he is looking for, he is soon to meet a beautiful woman who wants to show him another way to live and believe - but he is soon to find out that this way is supreme evil!!!!!! Can he find his way back?? He consults his life-long priest, ( who has his own struggles ) for help, but is it too late??? 1997, saw the release of SEVEN SPIRITS again, through the same forms of distribution and before mentioned countries. A much darker record than 1996's ZERO HOUR , reviews were a bit more mixed - but this was to be expected, as most concept record's are a bit harder to digest upon 1 listen. Making SEVEN SPIRITS was a good learning experience for the band, and an experience that they once again do in the future. Not long after the record was released , bass player Criss Bailey would leave the band to pursue other musical endeavors, but still remains in close contact with the band - he has finished his latest musical project - which was recorded at ECLIPSE STUDIO ( Glen's recording studio ) and is looking to have it released sometime soon. While recording NIGHTMARE WORLD, it was clear to the band that their plan of attack had to be different. Not content on releasing the new record themselves, and wanting to reach more people, the band planned on sending CD copies of the recording upon completion, at the top of the list was METAL BLADE RECORDS for the simple reason that they are the best heavy metal label, period!!!! Distribution was the key here, and METAL BLADE is second to none in this department, as they are a world-wide outfit, so they were first in line to contact. Also, on our side, was the fact that METAL BLADE had expressed interest in EIDOLON since ZERO HOUR was released, so putting this to their advantage, a copy was put into metal blade's Michael Trengert ( literally - at an airport, of all places !!) shortly afterwards , EIDOLON was offered a world-wide contract!!!!! The year 2000 would see the first world-wide release of EIDOLON's " NIGHTMARE WORLD " and the reviews have been great!!!!! The band has done countless interviews throughout the world - and all reviews have been quite favorable and positive!!! NIGHTMARE WORLD is so far, the best representation of the balancing act between power and aggression, mixed with melodic passages. 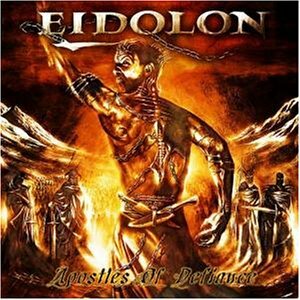 A journey which the band will continue to take - as EIDOLON truly believes that their are NO RULES in making good music!!!!!!!!! Opting not to tour for Nightmare World, Eidolon returned to the recording studio to prepare what would be 2001 HALLOWED APPARITION, their 2nd Metal Blade release!!! The record was a more direct, total HEAVY METAL assault - thus, keyboards were nullified and acoustics were kept to a bare minimum, for no reason other than to do something different than what was done previously. HALLOWED APPARITION received great reviews throughout Europe, and the band got an invite to play 1 of the biggest festivals in Europe - Germany's BANG YOUR HEAD festival!!! sharing the stage with the likes of JUDAS PRIEST, MEGADETH, STRATOVARIUS and many others, it was a great experience for the band!! upon returning from Europe, singer Brian Soulard was asked to leave the band, due to musical reasons. EIDOLON began writing their next record while simultaneously seeking a new singer/frontman to fill the vacant vocal slot. After several entries from around the world, EIDOLON announced PAT MULOCK as their new vocalist!!!! wasting no time, Pat joined EIDOLON in the recording studio to supply his talents to which has now become 2002 COMA NATION!!!! This record is by far , the most varied in style, while staying within the boundaries of heavy metal. From speed metal, to epic style material, to slow sludge metal, keyboards and acoustics were brought back to enhance the music created on their latest slab of molten metal!!!! released in June - 2002, COMA NATION takes no prisoners in its relentless metal assault!!!!!! be prepared, the COMA NATION IS NEAR!!!! 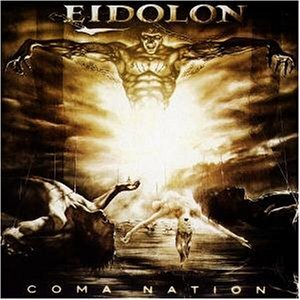 With the release of "Coma Nation" in 2002, it wasent long before Eidolon started writing for their follow up release, "Apostles of defiance". Released in 2003, it proved to be their heaviest and most versatile record to date. The band traveled to Germany to perform at 1 of the top festivals in Europe - "Wacken"!!!! Not long after returning to North America, the band parted ways with singer, Pat Mulock - Eidolon would now wait over 2 1/2 years to release new material. Partly, the reason for this, is both Glen and Shawn Drover joined the band "MEGADETH", in October of 2004. Enter new singer, Nils K. Rue ( Pagans Mind ) who now performs as vocalist on Eidolon's upcoming release in 2006 - Entitled "The Parallel Otherworld", The record will be released on Escapi Records worldwide!!! The record explores the bands most varied material they have ever recorded!!!!! Certainly more progressive, darker and heavier, this will certainly prove to be the DEFINETIVE EIDOLON RECORD!!!!! !